Gorgeous home w tons of amenities. 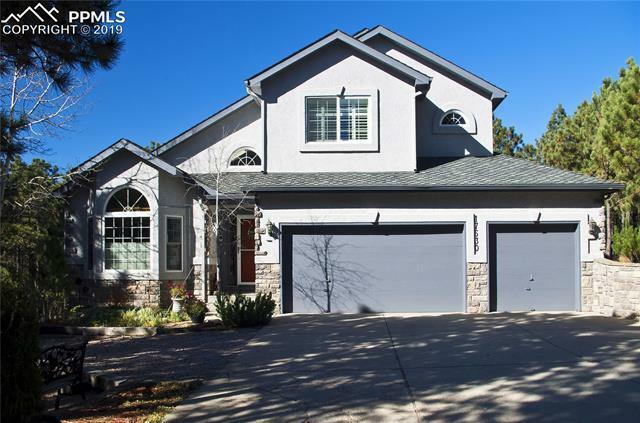 Vaulted entry foyer, exposed stairwell & upper landing, formal Living Room w vaulted ceiling, river rock gas FP, adj formal DR w antler chandelier, butler pantry. Recently refinished Kitchen w hickory cabinets, bar, butcher block island, eating nook w bay window, walkout to large tiered deck with included hot tub. Inviting Fam Room w river rock hearth & wb FP. Master w adj remodeled 5 pc bath. All BRs w walk-in closets. Lwr Lvl w huge 4th BR & Rec Rooms, wet bar, redone 3/4 bath.